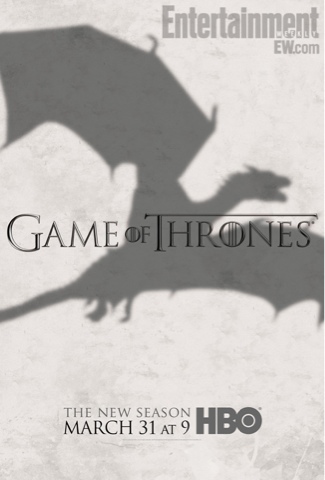 WillingToBeLucky.net: 'Game of Thrones' Season 3 Poster Revealed!!! Entertainment Weekly has released the Season 3 poster for Game of Thrones! It features the shadow of a dragon! Daenery's little ones aren't so little anymore! What do you think of the new art? The first trailer will be released online tonight after it appears during Jimmy Kimmel Live on ABC!